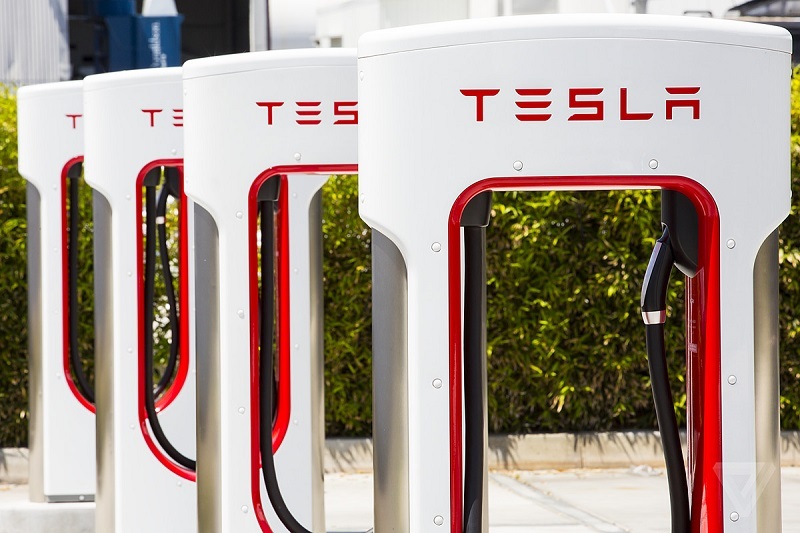 Tesla Model 3s for the European market will come with a CCS (Combined Charging System) fast charging compatible port so that they can fast charge on third-party networks such as Polar/BP Chargemaster and Ionity, Auto Express has reported. This is on top of being able to use Tesla’s own Supercharger and Destination networks. Meanwhile, owners of Model X and Model S will be able to use third-party CCS chargers by buying an adaptor that can be plugged into their cars’ existing on-board Type 2 sockets. Tesla’s head of global charging infrastructure, Drew Bennett, told Auto Express: “There’s a lot of excitement about Model 3 coming to Europe and charging is always part of that conversation. “We’ll be continuing to invest in our network – that’s a huge part of the ownership experience. But we’ll be enabling our owners to have access to the CCS networks that are starting to grow in Europe, so the Model 3 will have a charge port for the CCS standard and we’ll also have an adaptor for Model S and X. “All existing Tesla customers will be able to use the Supercharger network still, but these changes will allow people to venture outside the network – this is something that could really help our owners and is really exciting for us to be able to say that about the infrastructure in Europe. Disappointed to discover that non-Tesla cars can’t charge at a Tesla charging point. Not very joined-up thinking here. Surely they could recoup their investment in their charging points much more quickly if all makes of electric car could access them?